Dr. D. Uyanga, ex-JDS Fellow, played a key role in the loan negotiation for Tsetsii Wind Farm Project, which was to construct and operate windfarms in southern Mongolia by a joint venture of Newcom LLC, a Mongolian conglomerate, and SB Energy Corp, a SoftBank subsidiary, with investment loans co-financed by the Japan International Cooperation Agency (JICA) and the European Bank for Reconstruction and Development (EBRD). The chief negotiator, Dr. D. Uyanga earned her Master’s Degree in Japan in 2002 as a first batch JDS Fellow from Mongolia and then completed her PhD in Nagoya University with a scholarship sponsored by the Japanese government. Since she returned to Mongolia, she has been working hard to explore investment opportunities in natural energy and infrastructure sectors as COO of Newcom LLC. She enjoys worldwide reputation as a young professional in sustainable development investment. Forbes Mongolia named her to their “30 Under 30 List of Influential Change makers in the Country” The young Mongolian professional also played a leadership role in establishing JDS Mongolia Alumni Association and building a stronger network among alumni. The energy project she initiated, too, has grabbed strong spotlights as a good practice for promoting renewable energy in Mongolia that depends largely on coal-fired thermal power. 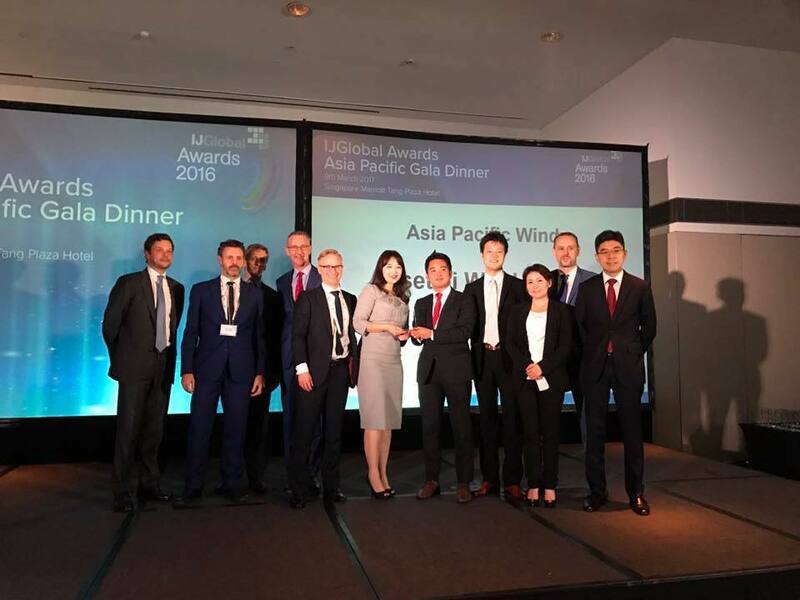 As a role model for prompting renewable energy development, it was recognized in the wind power generation in Asia and Oceania section of“IJGlobal Awards 2016”, a leading British journal in infrastructure and project finance. The JDS Program or Project for Human Resource Development Scholarship by Japanese Grant Aid was launched in 1999 to support highly capable young leaders from developing countries by offering scholarships for master’s degree courses at selected Japanese universities. JICE, as an agent of the partner countries has been supporting these young people to pursue their academic study in Japan in a wish to empower them to play a leadership role in the socio-economic development of their countries. The JDS program in Mongolia started in 2001 and has provided scholarships to a total of 280 young government leaders and professionals as of May 2017. Looking forward, we expect that JDS Fellows such as Dr. D. Uyanga will help promote further relationship between Japan and Mongolia. Dr. D. Uyanga (third from right) at the award ceremony of IJGlobal Awards 2016.